Locally, the rand found some momentum as it rallied to a session high of R14.07 against the greenback. However, the US dollar rebounded sharply which saw the local currency relinquish all of its gains to trade softer on the day. At 17:00 the rand was trading 0.5% weaker at R14.22/$. 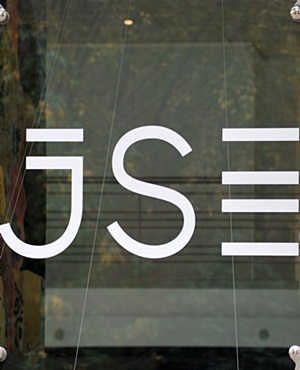 On the JSE, gains were relatively modest particularly for blue-chip stocks. Ascendis Health [JSE:ASC] rose 5% to close at R3.57, as it finished amongst the day’s biggest movers. Curro Holdings [JSE:COH] gained 2.62% to close at R23.10, while WBHO [JSE:WBO] added 3.56% to close at R112.89. Coal miner Exxaro Resources [JSE:EXX] managed to post gains of 2.92% as it closed at R172.29, while Northam Platinum [JSE:NHM] closed at R64.06 after gaining 2.1%. Diversified miner, Anglo American PLC [JSE:AGL] advanced 1.6% to end the day at R394.23, while Old Mutual [JSE:OMU] gained 1.67% as it closed at R21.93. Stadio Holdings [JSE:SDO] closed amongst the day’s biggest losers after the stock lost 6.59% to close at R3.40. Another volatile session ensued for EOH Holdings [JSE:EOH] which lost 5.41% to end the day at R10.50, while Royal Bafokeng Platinum [JSE:RBP] fell 5% to close at R32.30. Sugar producer Tongaat Hulett [JSE:TON] also came under pressure as it fell 4% to close at R20.64, while Clicks [JSE:CLS] weakened by 3.71% to close at R178.86. Other significant drops on the day were recorded for Intu Properties [JSE:ITU] which lost 3.02% to R19.56, Pan African Resources [JSE:PAN] which dropped 2.91% to R1.67, and Sappi [JSE:SAP] which fell 2.57% to R65.33. At 17:00, gold was 0.23% firmer at $1290.69/Oz, palladium had dropped 0.35% to trade at $1418.16/Oz, and platinum was up 0.23% at $851.93/Oz.